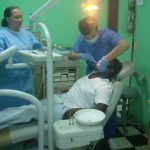 Dental Program (Public European Cooperation Clinic) Program Director Dr. Evans. 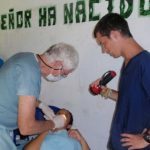 “The Dental program is designed for those volunteers who wish to participate and / or cooperate in the clinic, the dental department always needs help of volunteers in certain areas. 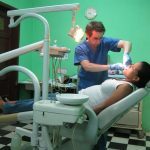 Sometimes we do work outside the clinic and visited other facilities such as childcare and promote the importance of dental cleaning. * Note: Participation in the dental area requires that the volunteer is involved in matter or be part of a study area of dentistry, so we recommend that volunteers bring their licenses and medical certificates which make a declaration that study or working on this area. Any donation to this project is welcome. * Assistance dentists at the public European Cooperation Clinic. 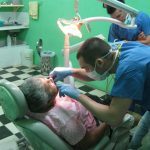 * General Diagnostic, Cleaning, Fill in cavities and Extractions. * Preparation of medical supplies. Sterilization. * Maintenance and cleaning. Root Canals. * Management of operational needs of the dental medicine. 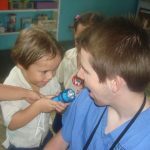 * Workshops of dental hygiene at orphanages and Day Cares. Cost of program: US$295 per week. ** Homestay with a local family, 7 days a week. Private room and bathroom. ** Three meals per day included. Nice neighborhood and 15 minutes walk from clinic. ** Volunteering Program coordination and placement. ** Orientation session and city tour. Introduction to the clinic personnel. ** Free WiFi internet access at the office and host family. ** Airport, ferry boat or bus transfer. 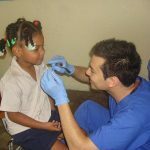 ** Diploma and Letter of Participation issued by the Hospital or organization you Volunteer with.